Sapphire Riding Academy will add grass paddocks to their new land purchase as part of their expansion. Mettawa, IL – February 15, 2016 - Sapphire Riding Academy in Mettawa, Illinois is expanding to accommodate the needs of their customers. After opening the farm in January 2015, head trainer, Doug Boyd, is pleased to announce the addition of assistant trainer, Ashley March, and the purchase of additional land. March, 30, will be moving back to the Chicago area from Kansas City, Missouri. She grew up in the Chicago area and with most of her family is still in the area, she is looking forward to being closer to them. March had an accomplished junior career, earning her way to the top ranks of the equitation division. Her accolades include winning the Illinois Hunter Jumper Association Junior Medal Finals and finishing second in the ASPCA Maclay Regional Finals. March qualified for all the medal finals including the USET medal and even had the opportunity to show at Madison Square Garden when the Maclay finals were still held there. 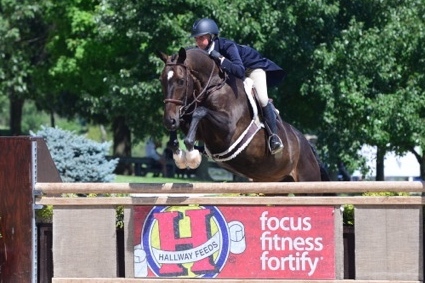 March also finished in the top 25 in the USEF/Pessoa Medal Finals at Harrisburg. Ashley March and Chemin De Prix. In addition to her strong equitation skills, March also won the Children’s Hunter Finals at the Washington International Horse Show. Her successful junior career included numerous championships in the junior hunter division as well. After turning professional, March began March Equestrian and went into business for herself. After running into Boyd at the Kansas City Royal this past show season, March realized it was the perfect time and opportunity to return to her home stomping grounds. 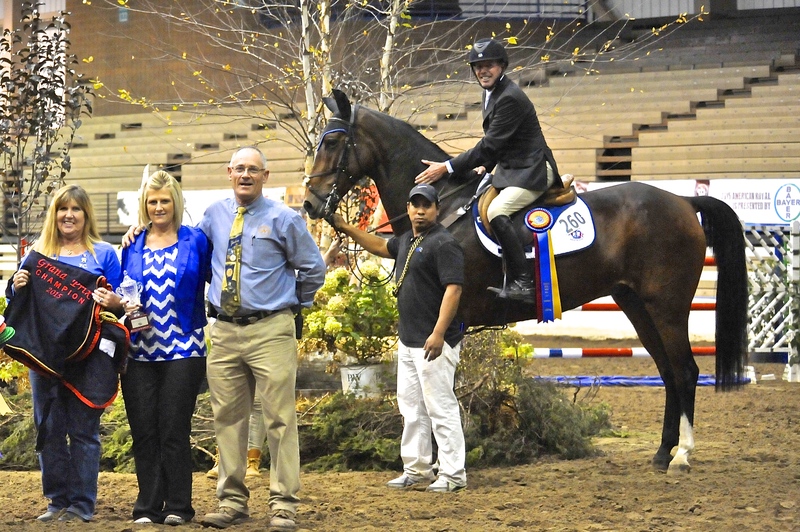 Doug Boyd winning the $20,000 American Royal Grand Prix on Berkley III. With the first round of horses purchased for clients taking top ribbons at national premiere horse shows, business has been good. Boyd has put some major wins on his resume including the $20,000 American Royal Grand Prix on his mount Berkley III. Boyd has also racked up numerous championships in the 3’6” Performance Hunters with Mimi Rothman’s Calido’s Son. The farm racked up 60 Championships and 43 Reserve Championships during the 2015 season. In addition, the team brought home seven IHJA year end Championships in both hunter and jumper divisions. It was definitely time to add extra staff. 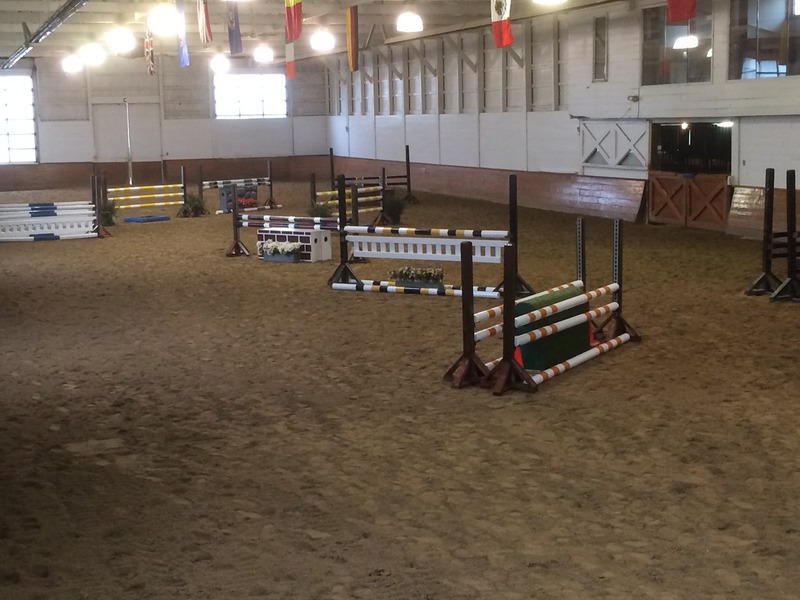 The indoor arena at Sapphire Riding Academy. To accommodate the farm’s growing needs, Sapphire Riding Academy purchased an additional 5 acres next to the property to build new grass paddocks for their prized animals. 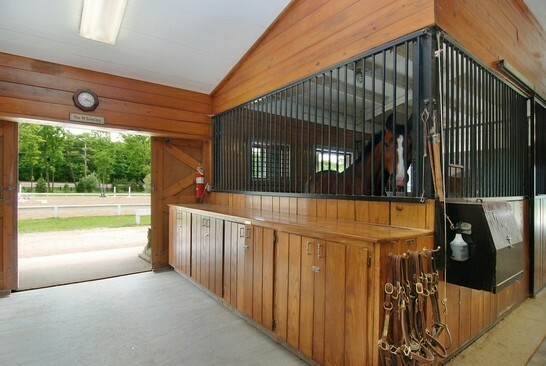 The entire property was updated and improved prior to opening and during 2015, making it one of the area’s most beautiful facilities coupled with impeccable care and management of the horses. Boyd’s training program is working and the entire team is already collecting top prizes in the 2016 show season in Ocala, Florida.